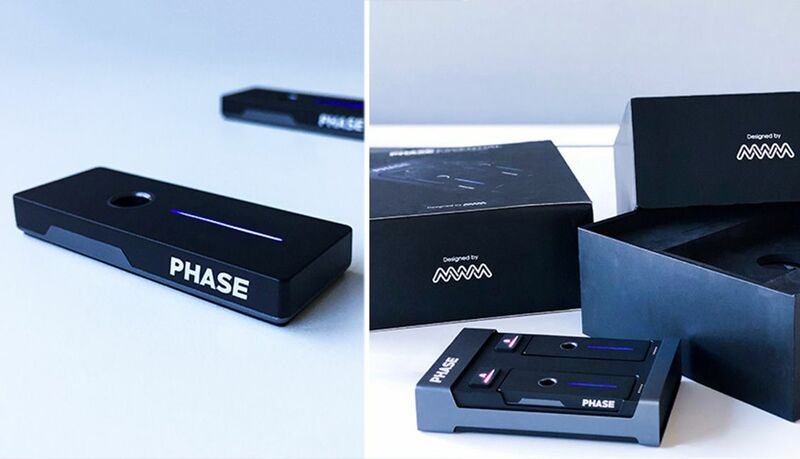 Wondering what’s up with Phase, the much-lauded wireless replacement for needles and timecode? MWM, the company behind the project, reached out last week to share with us that they’ve finalized the hardware and have postponed the launch a few months to have a chance to “optimize performance, correct the last remaining bugs and meet the expectations of our community”. Keep reading for the details. A lot of DJs who have seen the prototypes of Phase since January’s NAMM unveiling have been impressed. There’s no doubt a demand for this technology, which entirely removes the need for needles and digital vinyl timecode records and replaces it with high-resolution wireless transmitters that track a vinyl record’s every move. We have validated the final design of Phase, and the entire hardware parts (electronic and mechanical) are now complete and ready for production. […]We are also preparing the ground for commercialization: packaging is ready, and we are finalizing the supply chain and our distribution network around the globe. As heartbreaking as it was for us, we took an important and difficult decision and decided to postpone the launch to November 28th. This will give us the opportunity to improve Phase and offer you the perfect product that will meet all your expectations. What Will MWM Do With This Extra Time? Want to get in line to get one of the first units of Phase? We’ve got a form here, just sign up and we’ll let you know when they’re ready to preorder. We’ll be working with MWM to get some of the first units out of the gate.